Q. 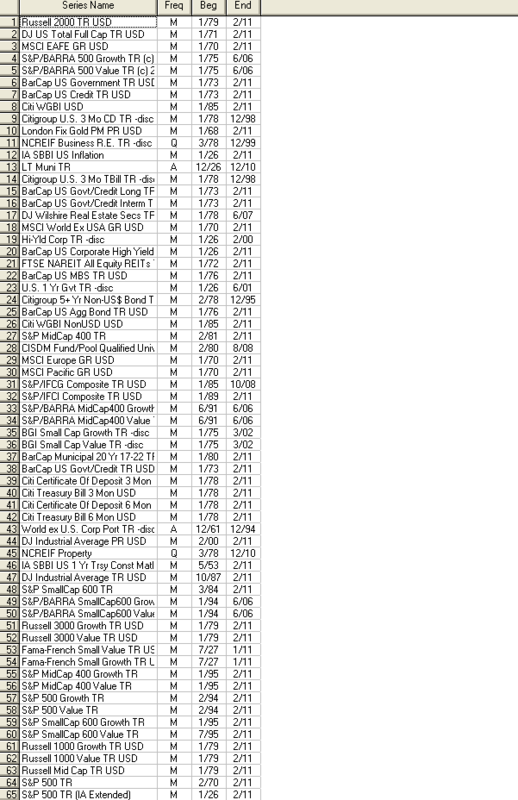 How do I find monthly total returns for major indexes including the S&P 500, MSCI, Russell 2000, etc. Historical capital markets returns data for major indiices including S&P 500, Russell 2000, DJ Wilshire 5000, MSCI EAFE, LB Aggregate Bond, S&P BARRA, U.S. 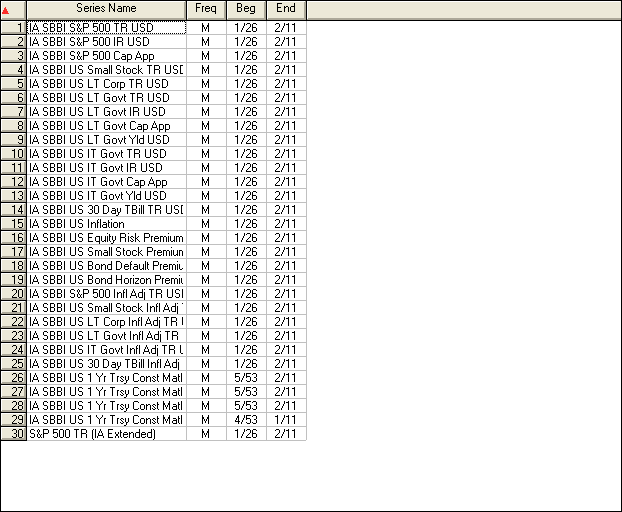 Bond Default Premium, U.S. LT Corp, U.S. 30 Day TBill, and many more. Contact Business Librarian.